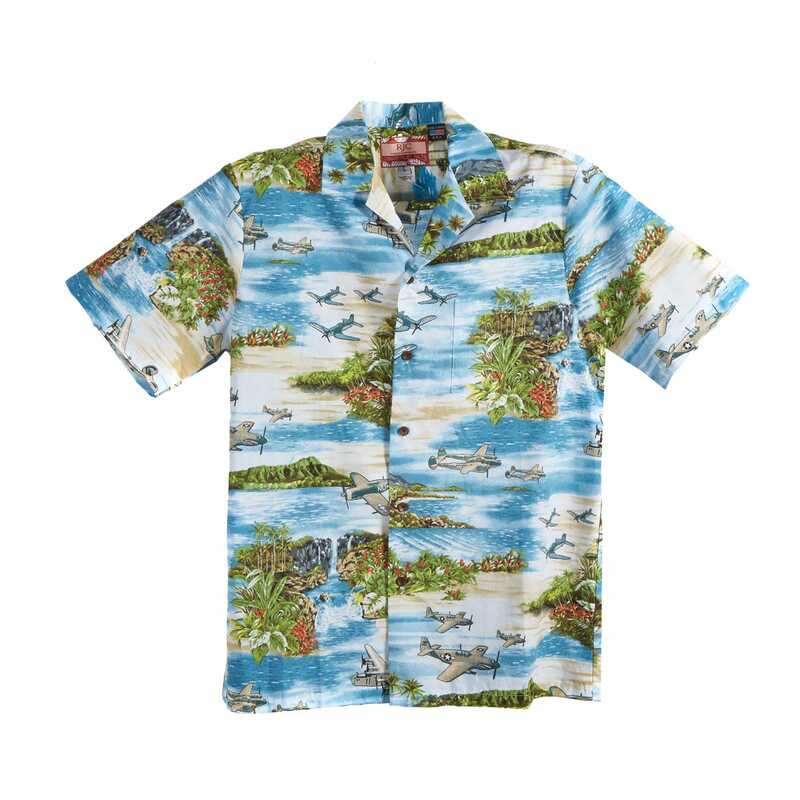 Put yourself on “island time” with our relaxed fit WWII Aircraft Hawaiian Shirt. 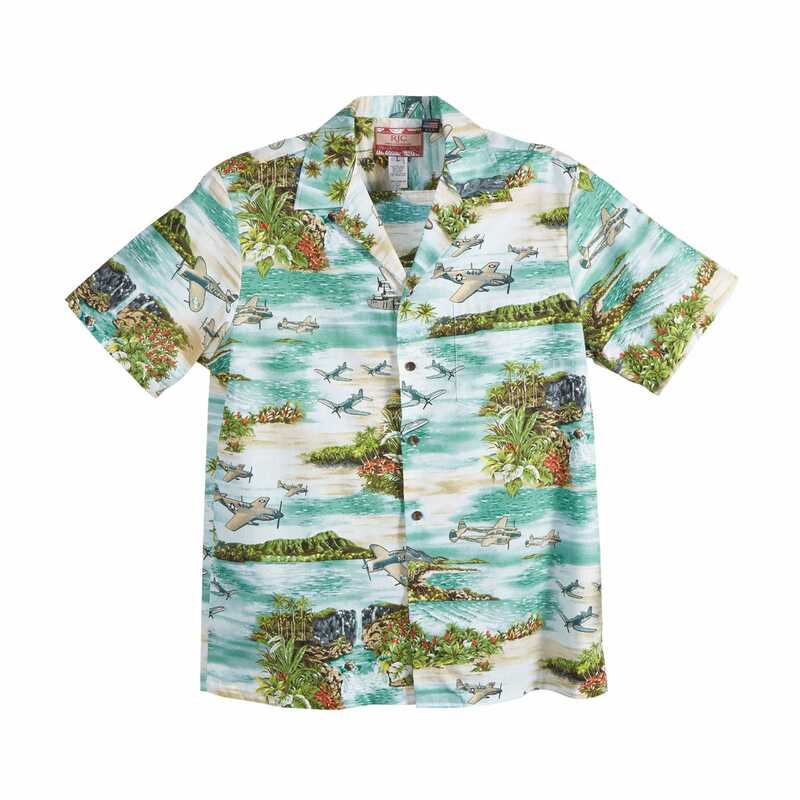 Perfect for air show, casual Friday, or a night on the town. 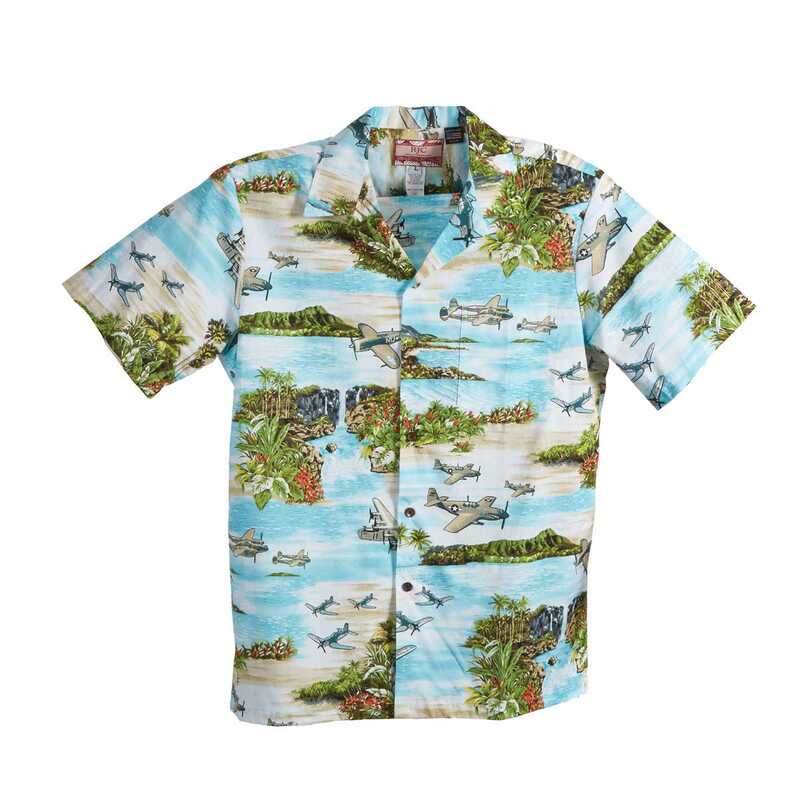 Shirt is made of 100% cotton with matched-pattern left front pocket, and features famous aircraft from the Pacific Theatre; the F4U Corsair, P-40 Warhawk, P-38 Lightning, B-29 Superfortress, B-24 Liberator and the F6F Hellcat. Available with blue, sage, and turquoise backgrounds and sizes SM-XXL. 1. please specify color and size. Great shirt, 5/5. However there are no F6Fs or P-40s, rather early model P-47s and early model P-51s.